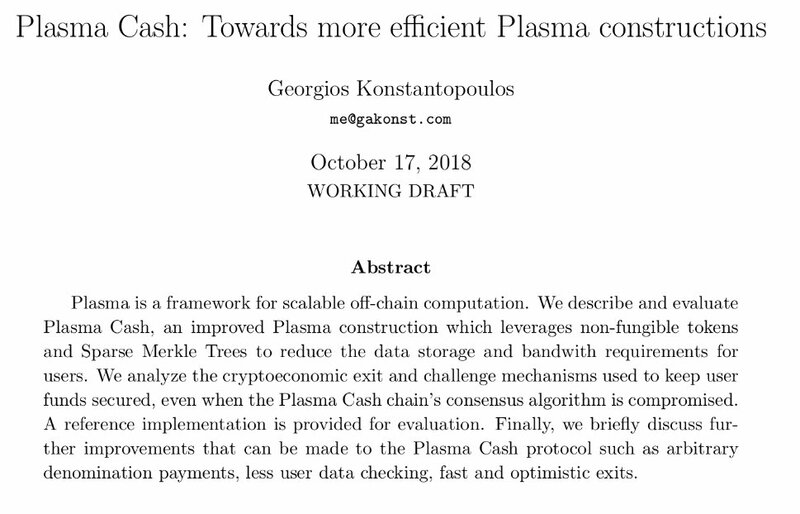 I've just published: "Plasma Cash: Towards more efficient Plasma Constructions"
An all in one compilation from the community's research and development on Plasma Cash, outlining its features and how it can be further improved in the future. Would love your input. More revisions to come!